It is doubtful that anyone driving or walking past a detention pond with its typical chainlink fence perimeter has stopped to admire it. Surrounding one with shrubs and trees and adding a fountain in the center does little to increase appeal. Detention ponds are required by developers when natural systems such as native prairies, wetlands, and woodlands are paved over to build roads, homes, parking lots and malls. They were designed as an attempt to make up for the natural porous, or permeable, areas lost to development. Nonetheless, rainwater, also referred to as stormwater, which once soaked into the soil and helped to replenish groundwater, rapidly runs off the solid, impervious surfaces. Along the way it picks up substances such as pesticides and synthetic fertilizers from landscapes, oil and grease from parking lots and pet waste. As a result, we see flooding, polluting of rivers, bayous and bays, and lowering of water levels in aquifers. During a major rain event, we want the water to go away as quickly as possible from places where it could cause damage. Historically, bayous were channelized and lined with concrete to help alleviate flooding. But with more impervious surfaces created each year as Houston’s population expands, the quantity of runoff has increased while water quality has further degraded. Ironically, as drought conditions continue to linger, we also must find ways to keep more of the rainfall from running off our properties. Better, more natural ways to manage stormwater are fast becoming alternatives to conventional methods such as detention ponds or channelized bayous. In developing Stormwater Best Management Practices, or BMPs, scientists had their “aha” moment when they began to look to nature for solutions and observed how seamlessly our native wetlands, prairies and woodlands function at managing rainwater. The resulting techniques are cheaper, more aesthetically pleasing and more effective at controlling pollution. An important component of stormwater BMPs is their ability to manage stormwater where it falls; thus helping to eliminate the costly infrastructure needed to send it farther downstream and to build water treatment facilities. Although certainly not a complete list, the following BMPs are some you may already have seen or heard about without even realizing they were serving such an important function. Many can be applied effectively to commercial, public and residential settings. Rainwater harvesting using rain barrels and cisterns is designed to collect roof runoff resulting in a reduction of stormwater entering stormdrain systems and water conservation for future use. Texas House Bill 3391passed in September 2011 requires Homeowner Associations to permit residents to use rainwater harvesting as long as they systems meet architectural requirements. 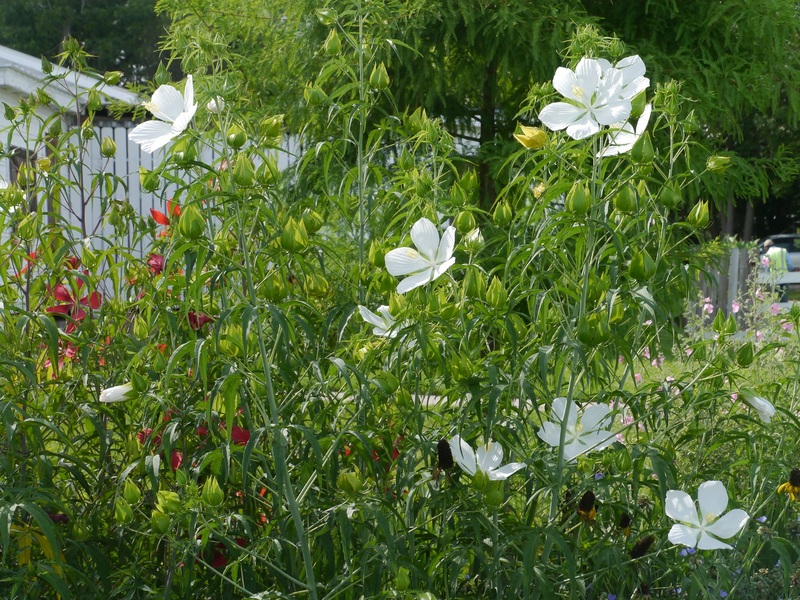 Rain gardens are landscaped areas intended to treat stormwater. Created as depressed, bowl-shaped areas, they capture stormwater runoff, permitting it to soak into the soil and to recharge groundwater. The remaining water is filtered by the plants, soil and mulch before it enters the stormdrain. Viewed as an amenity, rain gardens can be a beautiful addition to any landscape. Porous or permeable pavements are designed to allow some amounts of rainfall to infiltrate through road, sidewalk, parking lot or driveway surfaces into the underlying prepared soils. Vegetated swales are shallow, elongated depressions, similar to ditches, which are planted with a diverse selection of plant material and designed to move and filter stormwater. The process also increases water absorption. Roofs represent a large percentage of impervious surfaces. 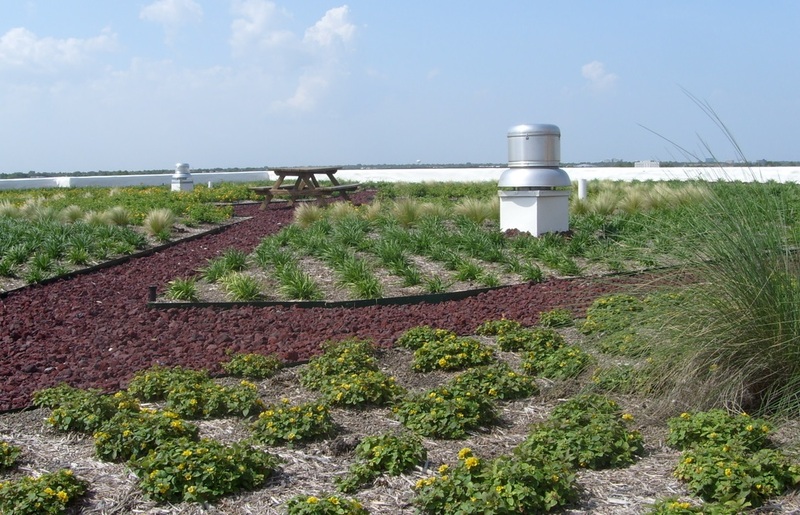 Green roofs are rooftop areas planted with a variety of vegetation that can reduce and treat stormwater runoff from the roof surface. As a bonus, they help to insulate the building, reducing cooling and heating requirements. Vegetated buffer strips are areas planted densely and strategically placed between an area that creates runoff in sheet flows, such as roads, a parking lot or other large impervious surface and the receiving site–a stormdrain, bayou, swale or bay. In the process, the plants filter the stormwater. While blending in naturally with most landscapes, vegetated buffer strips have the potential to remove large amounts of pollutants and sediment. An opportunity to view and learn about several stormwater BMPs all in one place will come with the soon to be completed Ghirardi WaterSmart Park in League City. At first glance, there appears a beautiful wooded park with nature trails that meander under a heavy canopy of oaks and other native hard woods, a playground, a pavilion, and featuring the historic 100 year old Ghirardi Compton Oak Tree. On closer inspection you will discover examples of all the BMPs mentioned above and see for yourself just how marvelous a teacher nature truly is.